Every semester when I start my undergraduate teaching I begin by setting the ground rules. Things like the importance of attendance, the need for extensive reading and so on. All what I would expect is fairly standard stuff. However, one area where I seem to differ from many academics is in my approach to student support. I tell all my undergraduate students not to email me. This may seem unsupportive. I should stress that at the same time as telling students that they should not email me I do explain why and I also explain the variety of other ways they can and will receive support with their studies. However, this message can sometimes get lost. Given the increasingly consumerist nature of students and marketisation of higher education I thought it would be helpful to provide a blog post explaining my position on this issue. The following provides a detailed list of my objections to email as well as touching on the other ways I provide support to my undergraduate students. Email is an impersonal and distant mode of communication. This does have some advantages, for example with distance learning students. However, I see my full-time undergraduate students at least twice a week – once in lectures and once in seminars. The use of email can create a sense of distance where, in my view, it should not exist. Consequently I tell all my undergraduate students that, rather than send an email, they should rise any questions they have in class. Now there is an important exception to this rule. I do think there is a need for use of email with postgraduate students, many of whom are either studying part-time or by distance learning, and so do not have the weekly contact that full-time undergraduate students have. It is also fair to say that email contact is useful outside term time for all students. Students who receive significant advice or support from lecturers via email communication can, in effect, have an unfair advantage over those who do not receive this information. Rather than responding to individual students by email I devote the first 10 mins of class to an open Q&A session. This allows me to relay answers to all students at the same time – thereby eliminating any favoritism or the likelihood of receiving several separate emails on the same topic. Where any questions relate to assignments I make sure to upload the question and reply to our university Virtual Learning Environment in the form of FAQs so that all students can see the reply – and these FAQs are copied over into future years. Sending email is very easy for the sender. It can take seconds to write an open-ended question such as “I am having difficulty understanding the distinction between concept x and concept y. Could you please tell me how these two concepts relate to the theory of z“. That may be a very good question. But while it might take seconds to send, replying is likely to take some minutes. As a result we can find much of our time filled up with what many refer to as “dealing with email”. Alternatively, answering such a question in class is likely to take less time and importantly can stimulate a greater discussion among the students and so support their peer-to-peer learning. The desire to be inclusive when using email often leads to sending one email to multiple recipients. From one email you can then receive multiple replies which can very quickly help fill up an inbox. Alternatively using discussion forums or social media will also encourage replies but without the limitations of the email inbox. 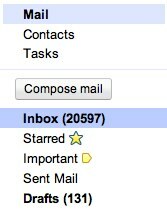 Ultimately email inboxes are never big enough. No matter where you work you will undoubtedly have, at some point in your career, reached a point where your inbox is full. This can block other emails from getting to you. As such it is best to encourage less use of email – as well as proper management of your inbox (which I must confess I don’t always do). 5. Lack of tone or inflection. Part of the difficulty in replying to email is the lack of tone or inflection that is possible. In effect this means that we can spend significantly more time drafting an email in order to fully explain what it is we are trying to say than would be possible verbally. There is also the risk that students who write emails, potentially in the heat of the moment, send something which does not entirely reflect their particular concern(s). This can lead to an answer that does not entirely address their concerns – and so lead to follow-up questions and further email exchanges. 6. Email as a weapon. There is also a sense that some people may use email in order to receive a written response with the intent that this can be used as “evidence” later. This places even greater onus on us to carefully craft emails. The excessive use of email in this way is also an indication of a lack of trust which should be resisted at every opportunity. Recently my personal email account was hacked. All my contacts were sent an email, seemingly from me, with a link which (I assume) was linked to a virus. This highlighted for me the inherent insecure nature of email compared with verbal communication. Social media is not immune to such attacks either and so again verbal communication can be preferable. Emails have the immediacy of a tweet or a text but retain an inherent degree of formality more akin to letters. This makes it difficult to judge what is an appropriate tone. The immediacy of email also contributes to assumptions that all emails will receive a response – and an almost immediate response. In this sense social media can be easier to use as these platforms do not tend to have the pretense of formality that is often associated with email and responses are limited to (in the case of Twitter) 140 characters. There is no substitute for face-to-face contact. At the same time there isn’t enough time in the day to meet with all students separately and so some ‘distance’ support is important. But in my view email is, among all alternatives, one of the worst forms of communication method. Again the closed and impersonal nature of email makes it, in my view, a deeply flawed communication method. In comparison many social media tools, such as Twitter, are open to all and so can stimulate a wider discussion and debate. In that sense I think the use of Twitter is actually better than email. It is also important for lecturers to have regular open office hours where students can simply pop in without having to set up a meeting (something which again usually requires email). Some academics may feel that being available (virtually) to all students 24/7 demonstrates a commitment to student support. But the impersonal and distant nature of email, combined by the lack of inflection or tone, can mean that important context can be missed. It may be that what the student is asking about is a symptom of a greater problem which would be raised through a face-to-face discussion. It is also important to stress on students the importance of attendance and that email correspondence combined with engagement with the Virtual Learning Environment does not represent a substitute for face-to-face contact. Finally it is important, in my view, to encourage students to be independent learners who have the confidence and aptitude to find information for themselves. Now all of the above is also qualified by the fact that when an emergency arises which cannot wait until the next class then of course students still can use email. It should not however be the default option for any and all queries. It is important that lecturers provide clear and full (and up-to-date) information to students via module handbooks and Virtual Learning Environments. These sources should help to eliminate the need for students to revert to email communications. Lecturers should also be available at the start and end of classes to address any ongoing concerns and to have regular office hours where students can ‘pop-in’. In my view the use of email is no substitute for these methods of support. So if you are an undergraduate in one of my classes please note that you will find all relevant information about the module and assignment via the Virtual Learning Environment. Important information will be reinforced in classes. There will also be an opportunity at the start of every class to ask any questions you may have. But unless for an emergency please do not email me.